The Cap It! Learn to Read Hebrew literacy program is changing the way children in Hebrew Schools across the world feel about reading Hebrew. The way it used to be, students would dread taking out their reading books, having to go through the grueling drill of reading aloud and listening to everyone else in the class read. 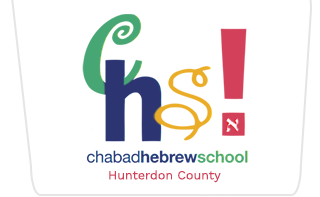 Now, ask any child in Hebrew School what is their favorite part of Hebrew School, and chances are, you will hear all about the Cap It! program. What is Cap It! ? Here at Chabad Hebrew School we utilize a highly successful reading program called Cap It! Learn to Read Hebrew program. This program is designed as a multi-sensory learning experience that uses visual and tactile mnemonics to teach the sounds of Hebrew letters and vowels. We are sure your child will enjoy the program and have fun while learning to read Hebrew. This system is an incredible tool for our students, since it allows children to learn and explore the Hebrew Alphabet and sound system through their most comfortable method of learning. The Cap It! program begins at the most basic level, in which students learn to identify the the letters of Hebrew alphabet though sound and shape, using tactile and visual cues as associations. As the levels progress, the entire alphabet is mastered along with its accompanying vowels. Simultaneously, as the student learns the phonics of the language, a series of "Smart Rules" allow them to start putting sounds together, reading words within the first few lessons. After a student completes the Cap it! Level 1 & 2 programs, at which point they are able to read Hebrew accurately, they progress to Level 3, increasing their speed and fluency and reading from a Siddur (Prayer book). This program is for grades 1 through 7. In the Kindergarten class , students work on pre-literacy skills, introducing them to the letters and vowels with tactile, kinesthetic and visual stimulation. By first grade, children are ready to begin working at their own pace and are responsible enough to complete their work in their own workbooks. With the Cap It! program, learning to read and write becomes tailor-made for each individual student. Rather than trying to find a "one size fits all" method to teaching reading where "most of the class" is comfortable and just hope for the best for the rest of the students, this program enables each child to learn in a way that they heis most successful. Another major advantage to the way to the program is designed is that there is a constant motivation for the child to want to read better just by the fact that each level comes with new, fun and creative games and stimuli that are exciting. It also is extremely helpful for students to have clear and reachable goals so that they can feel capable and confident that they will succeed. Every Sunday at Hebrew School, each class will be spending 40 minutes doing Cap It!. During this time slot, they will be divided into small groups according to their current level. Each group will be working under the guidance of a teacher, acquiring new reading skills and reinforcing these skills to master. Our Hebrew reading program begins with letter recognition for our youngest children, followed by phonetic decoding, reading, fluency, comprehension, and grammar concepts until they reach prayer literacy. Our goal is that upon graduation, every child will be fluent in and comfortable with reading Hebrew especially the common parts of the liturgy. Lessons on each Jewish holiday will fill the calendar as we proceed from Rosh Hashanah and the High Holidays through Chanukah, Purim, Passover and the festival of Shavuot. The students will gain practical instruction in the traditions through arts & crafts and hands-on learning. They will also learn about the meanings of each holiday and their relevant customs and importance today. Prayer time focuses on the study and understanding of prayer and the Siddur (prayer book). Students learn the meaning of each prayer as well as some key words to remember. They also learn wonderful songs both from the liturgy as well as songs about Jewish life and traditions. The students will explore and experience some basic fundamental mitzvot such as Shabbat, Tzedakah (charity), Mezuzah, Torah and more.The lessons each begin with a children's "story time" that introduces the topic and assists the children in finding practical application and meaning to these ideas. The students will continue to delve into more of the essential mitzvot and character development, such as kosher, brachot (blessings/benedictions), gratitude, kindness and respect. The concepts are explored through interactive lessons that allow the students to experience the mitzvot and practice their new learned skills . The students will focus on different areas in their homes and their daily life. The lessons are filled with Jewish customs, warmth, positivity and good character, and how to apply these in their home life and daily schedules. The students will learn all about the fascinating stories and characters from the time of creation through the time our were freed as slaves from Egypt and received the Ten Commandments at Mt. Sinai. The students will be enthralled with stories about brave and smart characters from our history and the many lessons we can learn from them and the lives they led. The students will continue learning about the trials and triumphs of the Jewish people from the time we entered the land of Israel to the era of the Jewish Kings and the Holy Temple in Jerusalem. They will discover interesting facts about Judaism such as the origin of the Western Wall, the Star of David and understand the beginnings of the Jewish people as a nation and how it affects us today. The students will explore the special G‑dly spark we have inside of us, called our soul. Following a curriculum called the Treasure within Me, they will learn about our soul’s relevance and role in our life as a Jew. A lifetime is filled with many milestones and celebrations. The Life Cycles program explores the each of these special and significant moments from a Jewish perspective. With a truly innovative program in which each student "adopts" a pretend child to raise, the students are enthusiastic about exploring each event and uncovering its true significance. In the oldest class we will have comprehensive discussions and conversations about many of the fundamentals of Judaism, the customs, principles and traditions such as belief in Hashem/ G‑d, Tefillin, divine providence, becoming familiar with Synagogue services and more. Basic biblical knowledge is the foundation for good Jewish literacy. This year we will be focusing on giving the kids an awareness of the key biblical stories, history, and teachings. For the children in the Cap it! Level 3 we will be introducing some basic conversational Hebrew skills such as word translation and basic conversation. The children have been asking for it so we are glad to welcome back our ‘Ask the Rabbi’ sessions where the children get to ask the rabbi anything that is on their mind…. and maybe even stump him from time to time.